Currently performing lost file searching procedure. 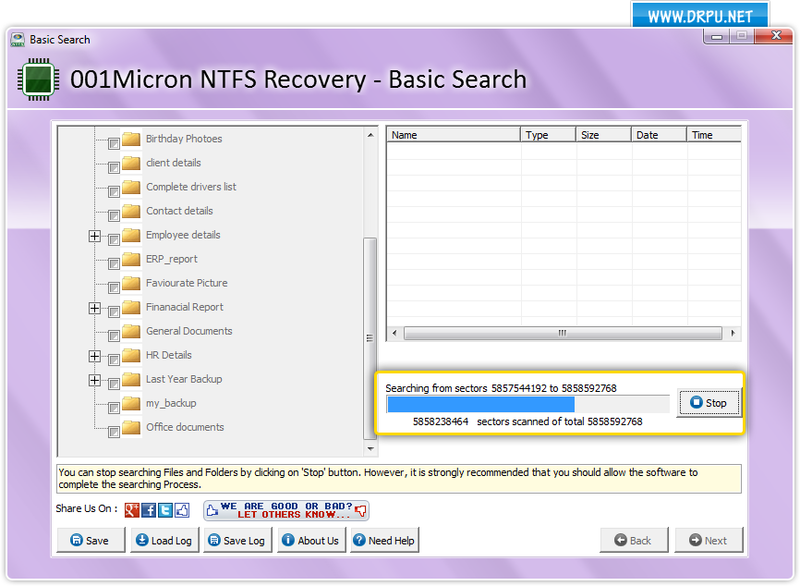 You can stop search process by clicking on “Stop” button. 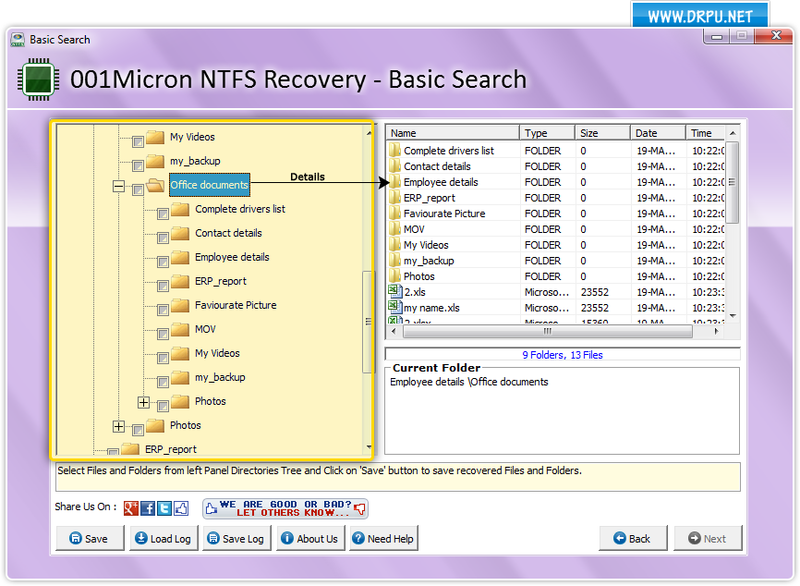 Screenshot shows recovered files and folders from left panel select restored file and click on “Save” button to save recovered files.